You have 3235 characters. Don’t forget to add important and relevant keywords in your description to improve your iTunes app page and optimize your SEO. Your app's last version was released on August 08, 2018. It is important to regularly update your app. Best practices recommend to update your app every 4 to 6 weeks. This means fixing reported bugs, improving existing features, launching new features etc. Keep an eye on users' feedback. The next great features may already be asked by many users. 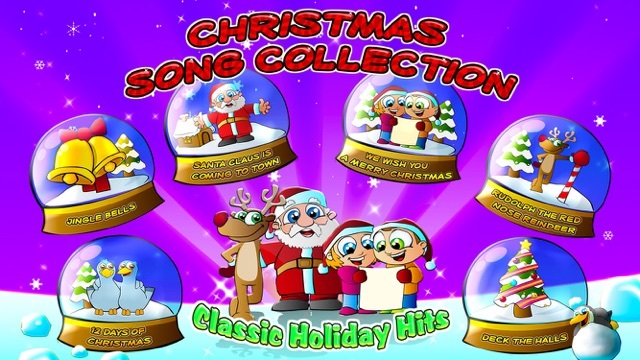 Christmas Song Collection is an adorable, graphical & musical production of all the famous, classic holiday children's songs. Start celebrating Christmas in your home with these beautifully illustrated classic tune. 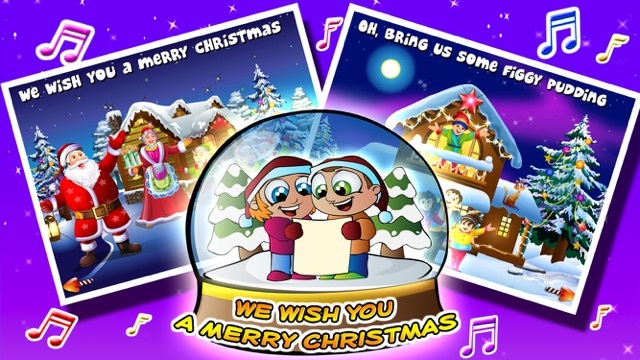 Enjoy the adorable characters and fun interactions and see your favorite Christmas songs come to life in a rich song and dance experience. - We Wish You a Merry Christmas - Christmas is here, and the christmas spirit is all around us. Meet Santa’s family , Rudolf, the reindeers and the jolly elves as they gather and sing this lovely holiday song. - Rudolph Song - Learn about baby Rudolph with his bright red nose. - Coming to Town - Santa is coming to town! He is checking his list and bring the Christmas spirit into your home, today! - 12 Days of Christmas - Learns numbers with this adorable classic Christmas Song. 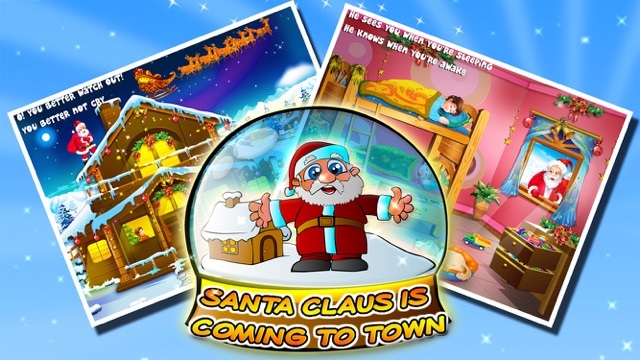 - Deck the Halls - See the wonderful animals celebrate Christmas, in the farm, the city and even the north pole. 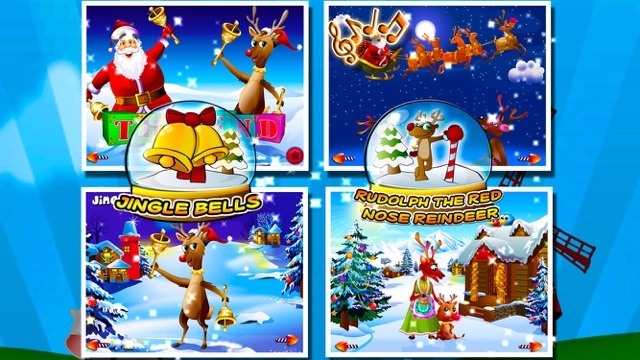 - Jingle Bells - Join Santa, Rudolph the reindeer and the merry elves as they sing and dance in the Christmas spirit. Note: The first two to three pages of each song are completely free. Full songs with all verses, fun activities and features are available with an easy to use in-app purchase inside the app which removes all ads as well.